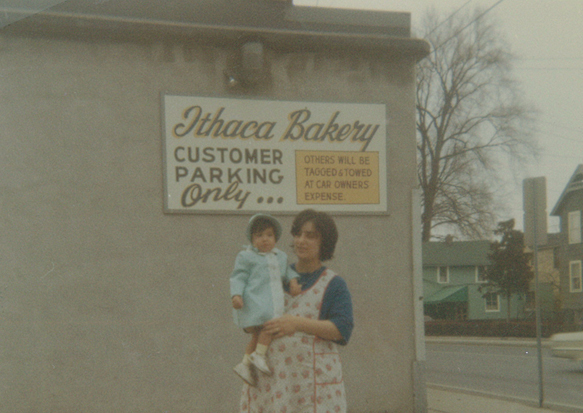 Vicky Zazzara DiLiberato and little Teresa inside the original bakery layout. Note the curved glass cases. 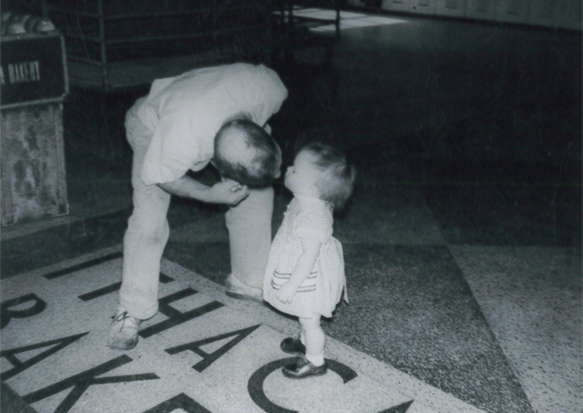 John Zazzara gets a kiss from granddaughter Teresa in exchange for a piece of candy! 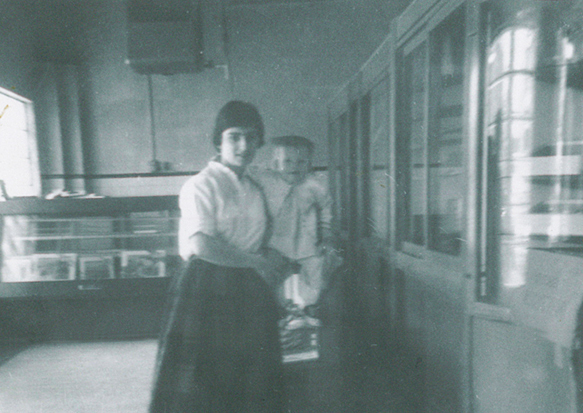 Notice the vintage wooden IB crates to the left and the hand-poured terrazzo floor still prominent today. 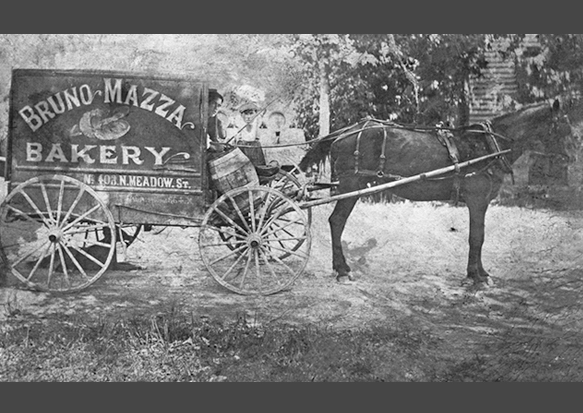 Vicky Zazzara DiLiberato and Concetta in the doorway to Bruno's Bakery. This original frame house was replaced with the cinder block structure in the early 50s. 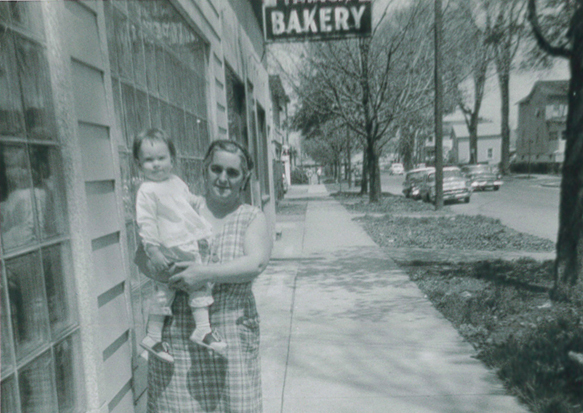 John Zazzara standing on Meadow St, 1956. 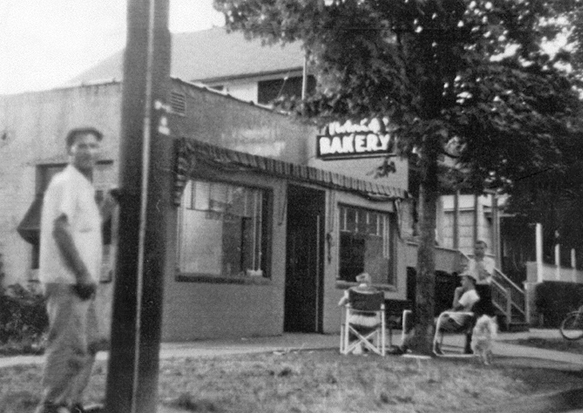 Pictured in the background an early Ithaca Bakery neon sign. The structure shown was expanded, but essentially is part of the North dining room today. Vicky Zazzara DiLiberato and Evelina pose together in the south parking lot. 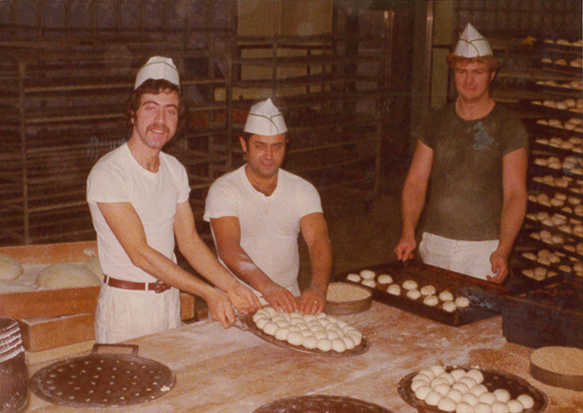 Fernando, Allesandro and co-worker preparing to bake fresh rolls! 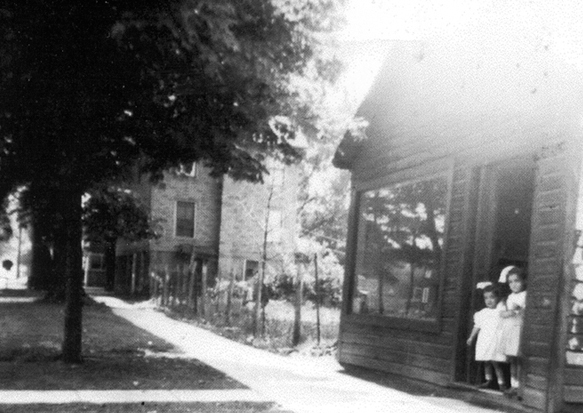 Teresa and Carmella stand outside the original entryway on Meadow St.
A young Giovanni DiLiberato lending a helping hand! 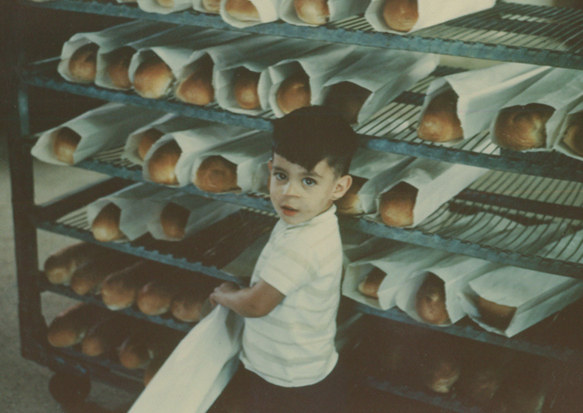 Ithaca Bakery bread bag from the 1950s. 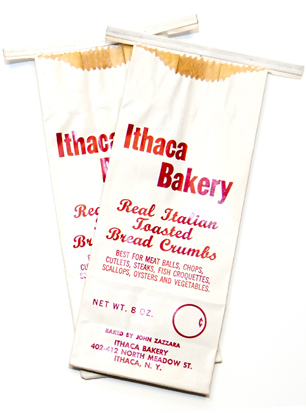 Real Italian toasted bread crumbs. Best for meat balls, steaks, fish croquettes, scallops, oysters and vegetables. 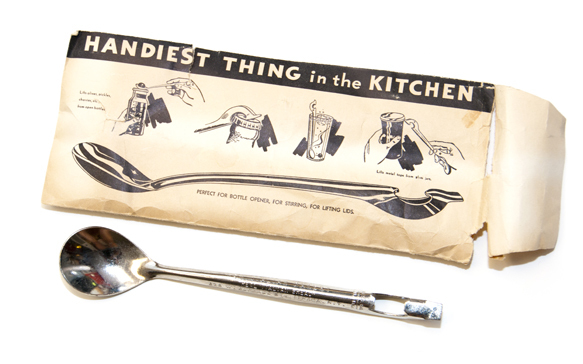 Bottle Opener and a Spoon. Handiest thing in the kitchen. Engraved with the old Ithaca Bakery address. There are no more slides.